Invest in ME Research have decided to extend the trial for two families by an extra month, using our own funds. We feel that removing the robots at this stage will be detrimental to the progress made in the trial - something which the charity does not wish to occur. Therefore, chairman Kathleen McCall has authorised a payment to No Isolation for an additional month of using the AV1 robot in order that continuity can be maintained whilst we search for a longer term solution. The status with this trial is currently that three families have volunteered and been selected to participate in this trial. The robot devices have been delivered by No Isolation and are in the process of being set up at the schools. One of the objectives has been to involve the local SENCOs and enlist the proactive support of the schools - all necessary pre-requisites. We are happy to say that this has been done. NO Isolation has been providing great support and are following closely this trial. They are also proving to be very supportive and receptive to ideas which is helping raise awareness of ME as well as tackling this particular issue of isolation. We hope to have more news in coming weeks. The trial continues for three months. Invest in ME Research concentrates much effort on finding, funding and facilitating biomedical research into myalgic encephalomyelitis (ME) as this, we believe, provides the only means to resolve the situation in which millions of people find themselves. A disease such as ME presents many challenges to a patient and to a family. It can provide challenges also to schools when a child or young person is unable to continue full time education. In such situations families can find themselves on the receiving end of the ignorance about ME that pervades our society where social services and education authorities may use a one-size-fits-all attitude to treating families where the child must remain at home. At our IIMEC12 conference in London in June 2017 we invited a Norwegian company - No Isolation - to display new thinking on how to resolve some of this situation. 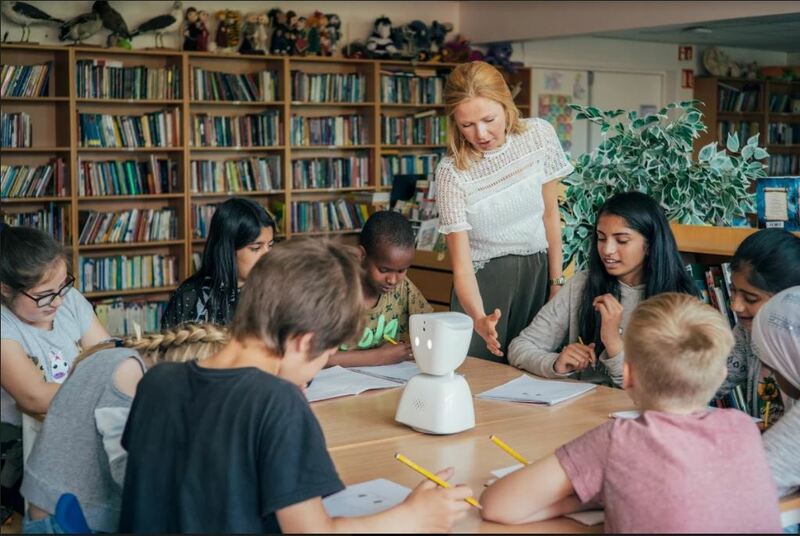 The Norwegian start up has developed a robot that helps children and youths with long-term illness participate in the classroom on their own terms. The robot, called AV1, acts as the students’ eyes, ears and voice in the classroom on days where they cannot be physically present. The student controls the robot with an app on a tablet. When the student raises their hand, a light flashes on AV1’s head. The robot can be turned 360 degrees, so the student can see the entire classroom and talk to other students. If the student does not feel like actively participating, they communicate it by turning on a blue light on AV1’s head. 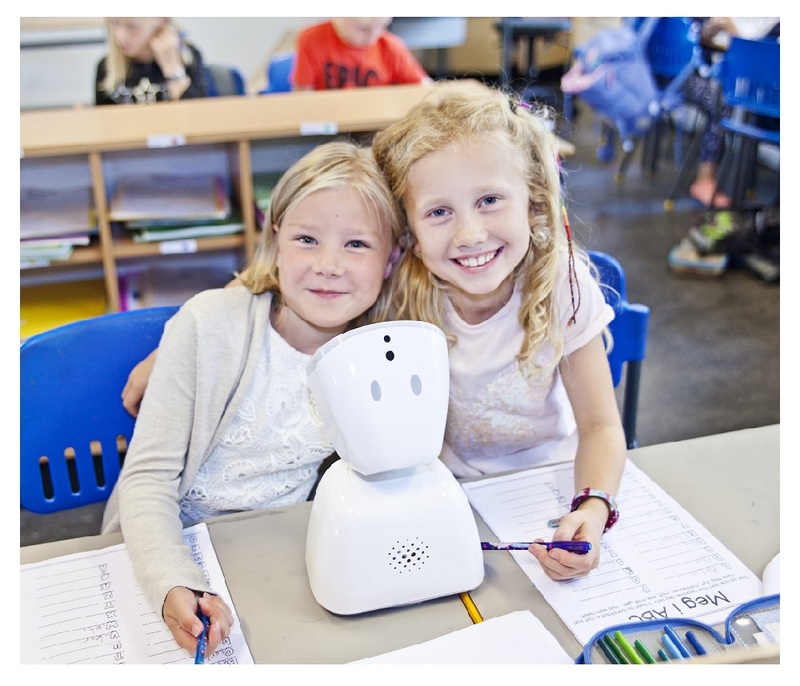 In Norway, a small white robot has become a stand-in in the classroom for children and youths suffering from ME. We want this possibility to be offered to young people affected by ME throughout the UK - and, at the same time, spread awareness of this disease throughout the education system. After discussions the company has made an offer to Invest in ME Research to provide three AV1 robots to be trialled by three families. We will be contacting local education authorities to make them aware of the possibilities to help young people with ME. Meanwhile, if there are families that have a child who has been forced to stay at home due to ME, and who would like to participate in a trial of the robot at their school and work with IiMER and No Isolation to describe the results, then please contact us. There will be three robots to trial. We invite support to help us promote awareness of the problems that young people face due to the effects of ME and how innovative use of technology can alleviate some of those effects due to isolation. Our press release is below. With myalgic encephalomyelitis (ME), one of the most insidious consequences of this devastating and disabling disease that affects patients can be the isolation experienced. This is especially true for younger patients and the consequences of this can extend far into adulthood and beyond and lead to unnecessary departure from society. Already, due to the consequences of a lack of a sensible and standardised pathway to care, patients are stigmatised and excluded from society. This need not be so and much could be done to avoid this by tackling this issue early on for young children affected by ME. Earlier this year Invest in ME Research was contacted by a Norwegian company who were interested in demonstrating a product that was aimed at reducing the isolation experienced by many younger people who were unable to attend school, or were cut-off from social contact due to illness. Obviously, the charity immediately saw the parallels with ME and the possibility of raising awareness of one of the least publicised side effects of this disease on patients, and their families. Our immediate reaction was how we can help use this to publicise awareness of the effects of ME on children. We then invited the company – No Isolation – to take a table at our 12th International ME Conference in London (IIMEC12) and offered to work further to support this campaign. The charity felt this to be a worthwhile cause that could help alleviate some of the unnecessary suffering that careless or ignorant education systems inflict on sick children and their families. 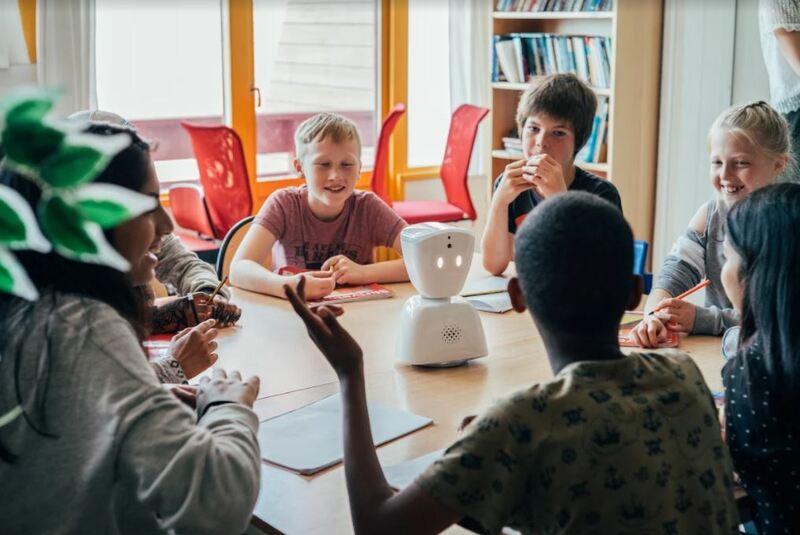 The company’s product - AV1 robot - helps children and youths with ME to continue to be connected to their peers at school despite not being present for all or some of the time due to illness. The robot is now available in the UK and together, with No Isolation, we are hoping to set up trials. Invest in ME Research will be contacting local education authorities to trial AV1. Initially, a trial of three AV1 robots will be set up involving families who currently have a child with ME who is unable to attend school, or whose regular attendance is compromised by ME. Children and youths with long-term illness such as ME do not need to be excluded from their friends’ activities and progress and schools have a responsibility not to ignore them – something which can lead to long term discrimination. The robot, called AV1, acts as the students’ eyes, ears and voice in the classroom on days where they cannot be physically present. With AV1 the student controls the robot with an app on a tablet. When the student raises their hand, a light flashes on AV1’s head. The robot can be turned 360 degrees, so the student can see the entire classroom and talk to other students. If the student does not feel like actively participating, they communicate it by turning on a blue light on AV1’s head. 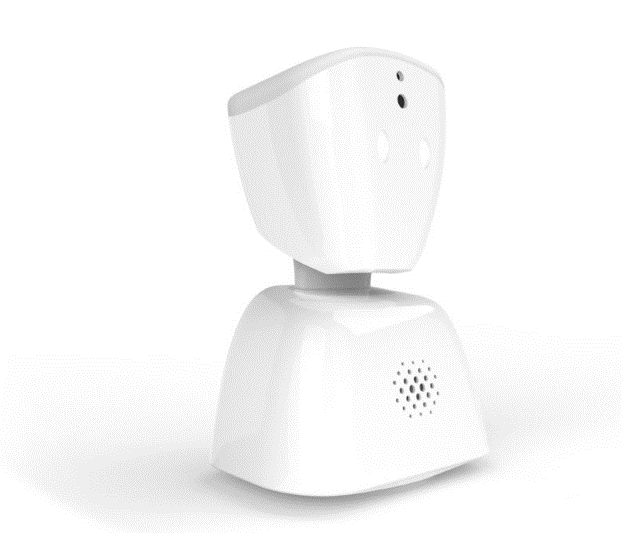 AV1 is designed to withstand Childs play, and can join classmates in the playground or on after school visits. AV1 is already helping ME-patients across Scandinavia, the Netherlands and UK. Children and youths suffering from ME is the largest user group – a salient point and one that ought to be a red flag for any education system. Research fellow Jorun Børsting and senior lecturer Alma Leora Culén at the Institute for Informatics, University of Oslo, are researching the technology needs of ME-patients. Having studied the use of AV1 among nine children and youths suffering from ME they see a big advantage in the fact that the robot is designed with ME-patients in mind. Børsting stresses that the robot cannot fully replace normal attendance at school or home teaching, but act as a supplement. We invite support for this campaign to help younger children – in the hope and knowledge that it could lead to fewer problems in the future for young people affected by ME. “Of the children I followed several had not attended school in a long time when they first received the robot. Some had been out of school for over six months. - Jorun Børsting, Research fellow and senior lecturer Alma Leora Culén at the Institute for Informatics, University of Oslo. Invest in ME Research will receive no financial reward for this campaign. The charity does this in order to highlight and overcome a major consequence of becoming ill with ME. We invite support for this initiative by assisting us with contact to local schools and education authorities. Invest in ME Research is a major UK charity which campaigns for biomedical research into ME and for proper education of healthcare staff and support for ME patients. The charity has been instrumental in initiating a UK Centre of Excellence for ME and there are now five PhD student positions involved in researching ME. If you would like more information about this topic, please contact Invest in ME Research at 02380 643736 or email at info@investinme.org. If you would like to be one of the families trialling AV1 and would be prepared to report back during the trial and work with us, No Isolation and the school/school authority then we would be very keen to hear from you. If you have any questions regarding the conference then please contact us by email and we will get back to you as soon as possible. Thank you for your interest in the charity.